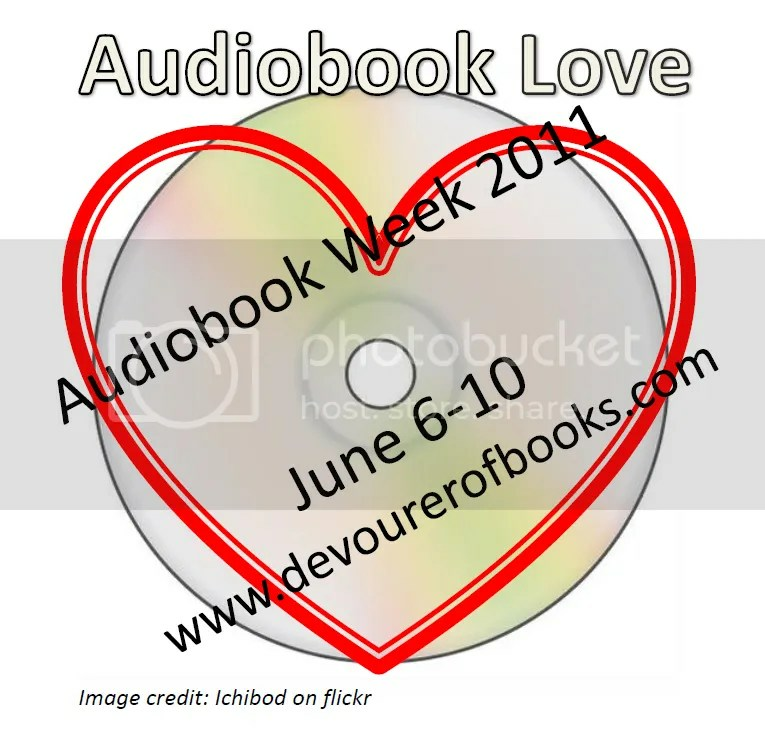 How Audiobooks Keep Me In Shape – my books. my life. My general advice to those new to audiobooks is to just keep listening. Over time, your brain will figure out how to interpret them and you will enjoy listening as much as reading. But it does take a little bit of effort at the beginning before you get to the point where you can do the dishes and listen without missing anything. And now I will tell you where I learned to really enjoy audiobooks. Gather round. I was new to audiobooks last year but this is the year that they really became a staple in my reading life. It is also the year that I started running. And the two interests have created some kind of synergy that keeps me in physical and intellectual shape. I look forward to my runs because of audiobooks and I read more audiobooks because of running. It is a fantastically rewarding relationship. I listen to audiobooks in the car and while I’m cleaning and when I can’t sleep in the middle of the night, but running is the majority of my audiobook time these days. Two years ago I would have laughed if you told me I would soon be addicted to both running and audiobooks. Now I can’t imagine life without them. What about you? Do you listen to audiobooks when you exercise? Are you going to try it now to see if you find similar motivation? Have you found some other task that audiobooks make bearable? I never could have made it through training for the half marathons I’ve done without audiobooks. For shorter runs, I just listen to NPR podcasts. When you’re running for 2-3 hours at a time, audiobooks are a lifesaver. I also listen to them when there is a book club selection that I am less enthused about. Then I don’t feel like the book is taking away from my time for pleasure reading. Great post! I have two audiobooks going at the same time. One for when I exercise and one for when I unwind and get ready for bed. I am also surprised how much better it is to exercise with an audiobook than it is without one. Now all I need to do is start running! Honestly, I’m not sure if even audiobooks could make me want to run. I definitely walk longer while listening to an audiobook! I also clean the house while I listen.